SEOUL, South Korea – North Korean military intelligence officers in Pyongyang are questioning two American journalists for alleged espionage after they illegally crossed into the country from China, a South Korean newspaper reported Tuesday. 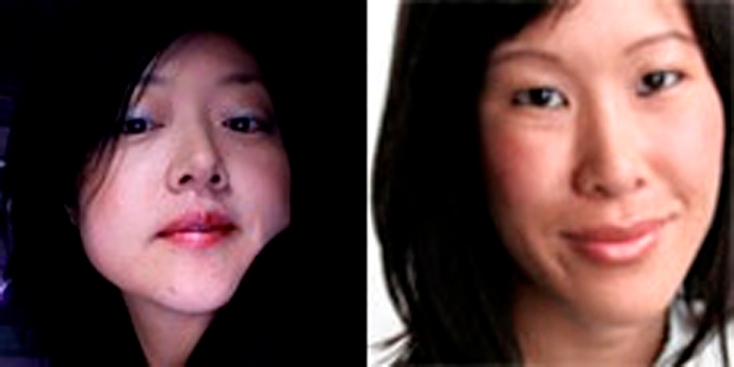 Laura Ling and Euna Lee, journalists working for the San Francisco-based media outlet Current TV, were undergoing "intense interrogation," with investigators poring through their notebooks, videotapes and camera for signs they were spying on the North's military facilities, the JoongAng Ilbo newspaper said, citing an unnamed South Korean intelligence official. The two were being held at private quarters run by North Korean military intelligence agency on the outskirts of the capital, the report said. South Korea's main spy agency, the National Intelligence Service, said South Korean and U.S. intelligence authorities were keeping a close watch on the case but that it could not immediately confirm the report. Seoul's Unification Ministry, which handles relations with the North, also said it could not confirm the details. In Washington, the State Department has confirmed that two U.S. journalists were being held in North Korea. A U.S. official said Saturday that Washington was in touch with North Korean representatives. However, Washington does not have diplomatic relations with Pyongyang, and U.S. intelligence officials have asked South Korea for help in gathering information about the Americans' whereabouts, the JoongAng report said. The detentions come at a tense time on the Korean peninsula; Pyongyang's relations with Washington are strained over its refusal to fully verify its past nuclear activities and North Korea's declaration it will launch a satellite into orbit in early April. U.S. and other regional powers fear the launch is a cover for a long-range missile test. State-run North Korean media have said border guards arrested the two on March 17 for "illegally intruding" from China. An activist who claims he helped the two plan their reporting trip has said they were reporting on North Korean refugees in China. The Rev. Chun Ki-won told The Associated Press that he warned them against getting too close to the border with North Korea. JoongAng said they crossed into far northeastern North Korea by walking over the Tumen River dividing the country from China early in the morning of March 17. The narrow river, frozen this time of year, is a frequent escape route for refugees fleeing North Korea. The two journalists were stopped by a North Korean soldier and then taken into custody when their IDs revealed they were American citizens, the report said, citing unnamed sources. The two reportedly were taken to Pyongyang on Wednesday in separate vehicles. If convicted on espionage charges, the women face at least five years in prison under North Korean law, South Korea's Unification Ministry said. However, JoongAng Ilbo noted that conviction on charges of illegally crossing the border and spying on the North's military facilities could draw more than 20 years for each. Past detentions of Americans have required international intervention. In 1996, New Mexico Gov. Bill Richardson, then a congressman, went to North Korea to help secure the release of an American detained for three months on spying charges. In 1994, he helped arrange the freedom of a U.S. soldier whose helicopter had strayed into North Korea.